This treatment has evolved over the past decade, and involves using fat from your body to fill defects and wrinkles in other parts of the body. 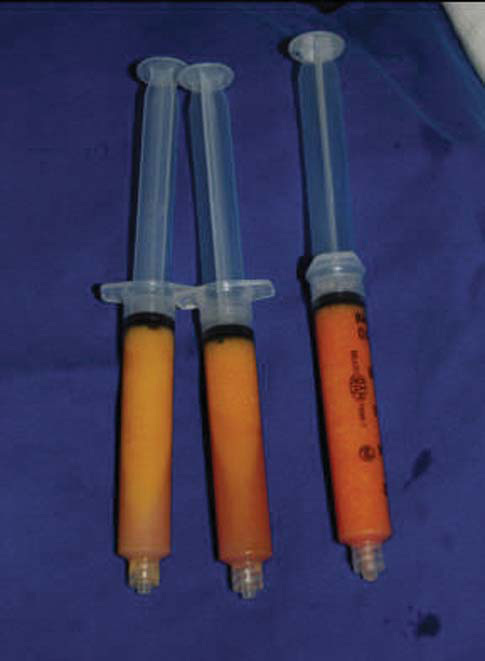 A donor area, usually the abdomen is used to harvest the fat and it is treated first by centrifugation and purification, then injected with a special cannula in the recipient area. For the fat to survive, it must be harvested by traditional Saline Assisted Liposuction, without use of Laser or Vaser or Power Liposuction. 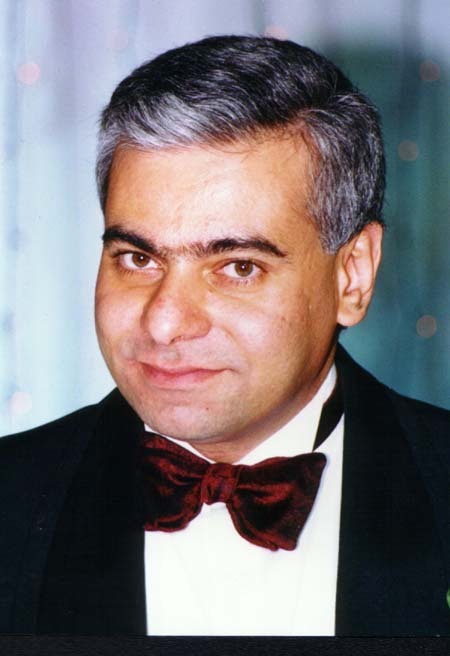 Sometimes special genetically engineered factors are added to promote the survival and growth of the injected fat. It has a much longer longevity than fillers, upto 5 years and maybe more. 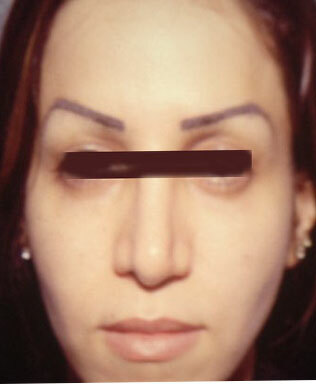 Fat injection is a revolutionary tool in Plastic Surgery, and refinements and modifications happen almost every day. It can have marvellous results in selected cases and if properly indicated and executed. However, contraindications to fat injection include previous injection of fillers within the past 18 months, lactation, and uncontrolled diabetes. 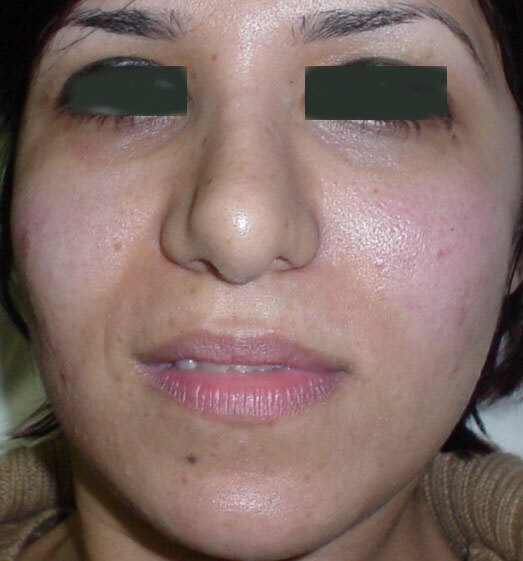 Sunken cheeks in a 27- year old female: 9 ml of fat were injected in each side. 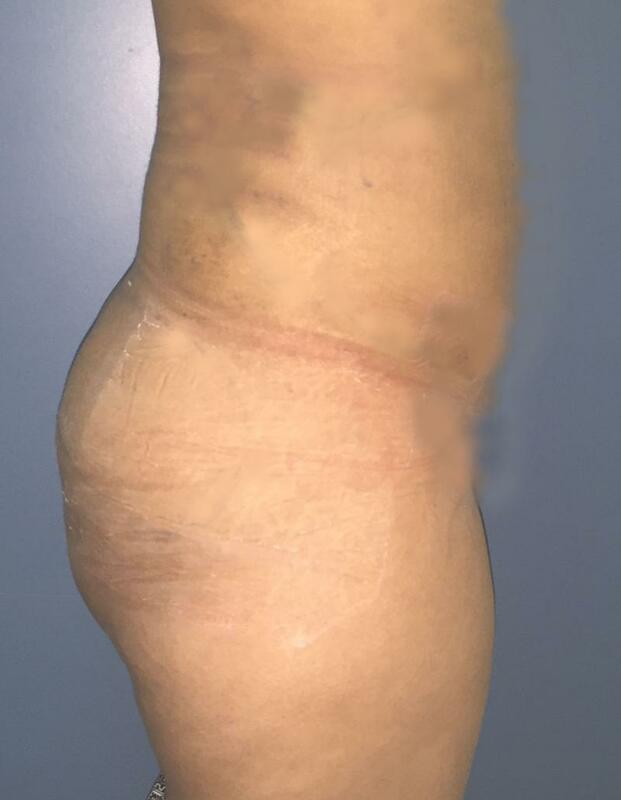 Fat necrosis in the whole body of a 48 year old male: Loss of all the fat caused a sunked aged appearance in the patient. 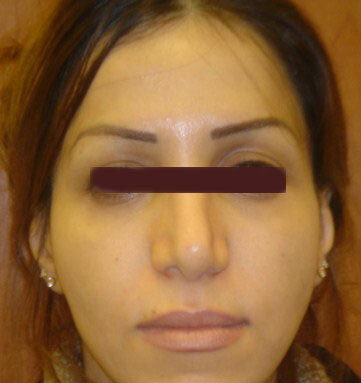 Dermal grafts were taken from the inner arm and placed in the cheeks and nasolabial area of both sides of the face. Note the fuller cheeks and more juvenille outcome. 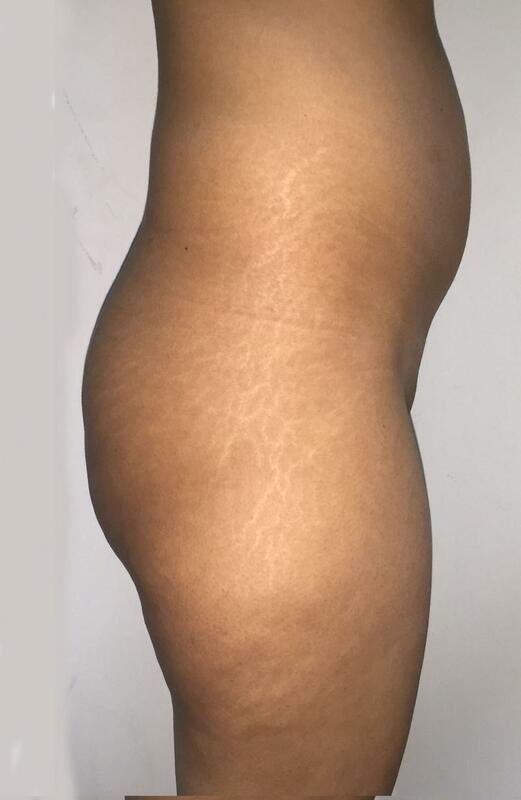 ﻿Buttock Augmentation: Fat Injection: This 26 year old woman had a buttock augmentation using 420 ccs of fat injection injection in each side. Follow up shows excellent take of the fat and perfect shape.﻿﻿ Note the improved contour of the abdomen from where the fat was taken. Breast Enlargement: Fat Injection: This 36 year old woman had a small breast and refused to have breast implants. 250 ccs of fat were injected in each breast to achieve augmentation to a B-cup. Breast Augmentation: Fat Injection: This 25 year old woman had a breast augmentation using 350 ccs of fat injection in each side. 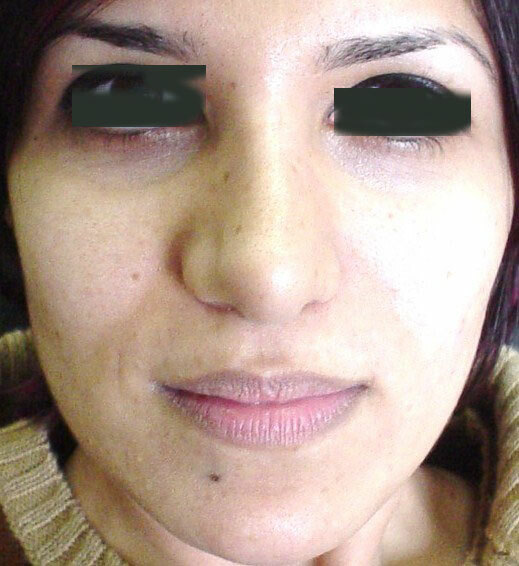 One year follow up shows excellent take of the fat and perfect shape.﻿ on both frontal and lateral views. Breast Augmentation: Replacement of Implants by Fat Injection: This woman had breast implants at another practice, that got capsular contracture. The breasts were hard and deformed. Implants were removed and fat was taken from the abdomen and thighs to replace the implants. Unfortunatele, the patient had milk coming out of her breasts, and she did NOT disclose that information before the surgery. Infection ensued and the some of the fat had to be removed. Breast Augmentation: Fat Injection: This 33 year old woman had a breast augmentation using negative expansion and fat injection. Fat was taken from the abdomen and the breasts were increased one cup size. Follow up shows excellent take of the fat and perfect shape.﻿, as well as improved contour of the abdomen. Breast Deformity Correction: Fat Injection: This 34 year old woman had a previous breast lift and implant insertion by another surgeon. Left implant had ruptured and breast was deformed. Implants were removes, areola corrected, and 350 ccs of fat injection in each side was performed.